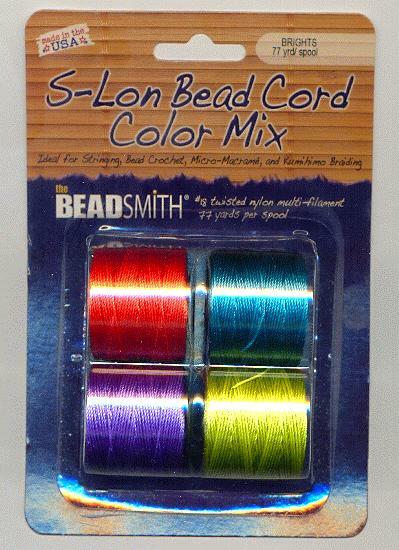 Price listed is for each mix of four 77-yard spools of s-lon bead cord. 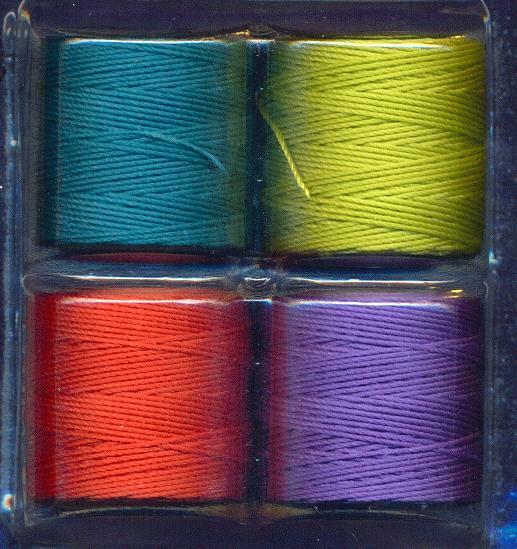 The Brights mix contains one spool each of teal, chartreuse, orange, and violet. S-lon is an extra heavy #18 twisted nylon multi-filament cord for stringing, bead crochet, micro-macrame, and kumihimo braiding.